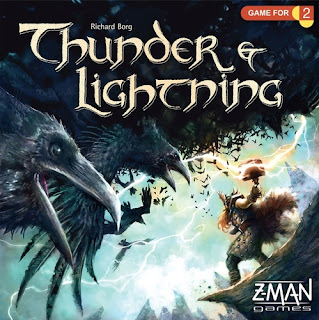 Thunder & Lightning is a 2-player card game set in Nordic mythology. The Trickster Loki has stolen Odin's crown. To aid his son Thor in battle against Loki, Odin has given Thor his prized ring of power. 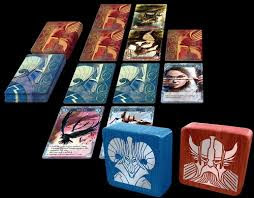 Players will each take the role of Loki or Thor and meet in an epic battle to vie for control of these two valued objects. 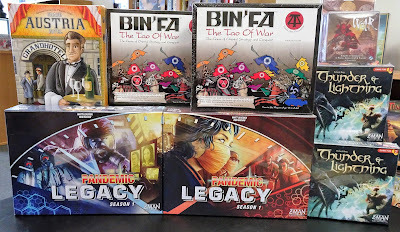 Each will need to use strategy and cunning to defeat their opponent's allies. You may even need to risk your prized possession on the battlefield, lest your opponent finds it in your hand. 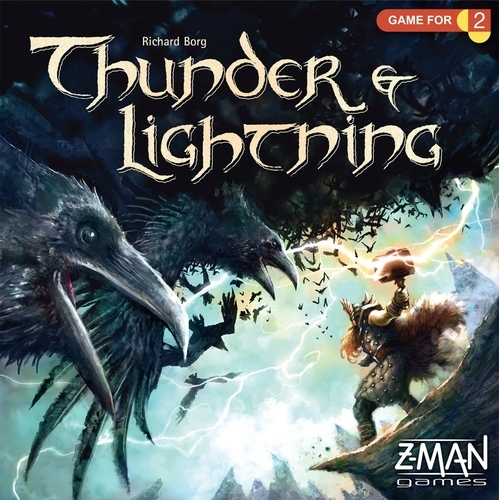 Reprisal of a Classic Game! 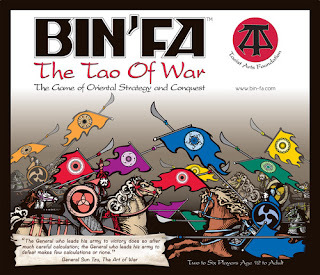 Originally published in 1977, this classic war game features a modular board, a little bit of dice rolling, a little resource management, and lots of tactics. It was recently republished after a successful kickstarter campaign. Bin'Fa: The Tao Of War is based upon ancient Chinese precepts of war. Players will be in command of an army with the goal of eliminating all enemy forces from the battlefield. Success depends on ensuring that armies maintain sufficient supplies to provide mobility and firing power.